YEREVAN, FEBRUARY 20, ARMENPRESS. The first ceremonies in the Forty Martyrs Armenian Cathedral of Aleppo after restoration will be held in March-April, RIA Novosti reported. 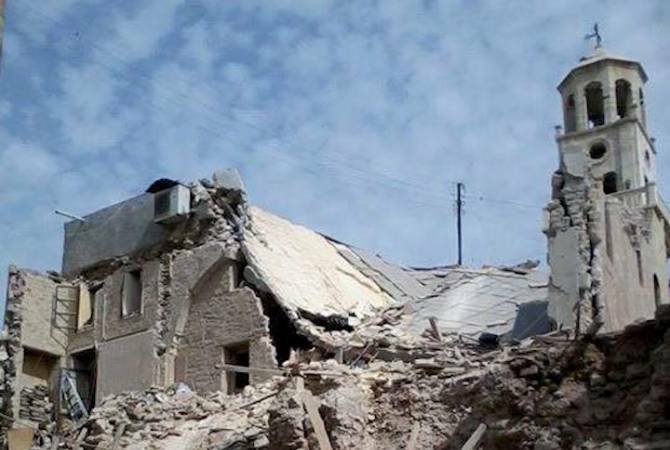 The Church has been destroyed by the Islamic State militants in April 2015. “Large-scale works have been carried out. We had to completely reconstruct the destroyed corridor. We have used the ancient stones which were maintained, collected them and put on the new ones. This was the most difficult work”, engineer Gabris Tamasyan said. The restoration works will be completed soon. New doors, windows and benches have already been installed in the Cathedral. The Church is being restored by the donations of the believer Armenian community of Aleppo.